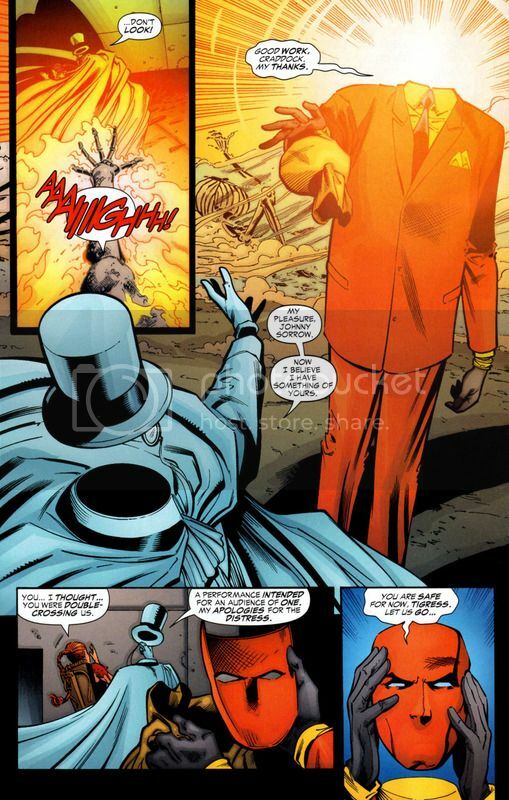 Johnny Sorrow used to be a silent movie actor who was fired when non-silent films became popular. 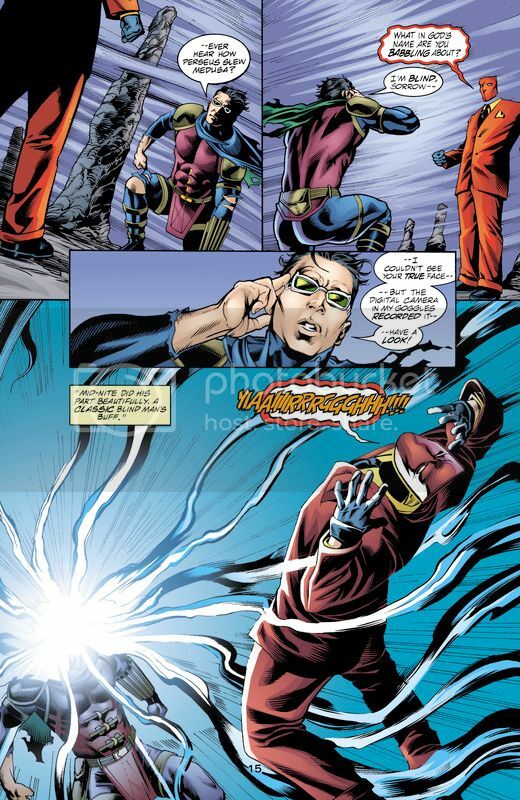 When still human, he used a subspace prototype to gain intangibility powers and commit crimes. 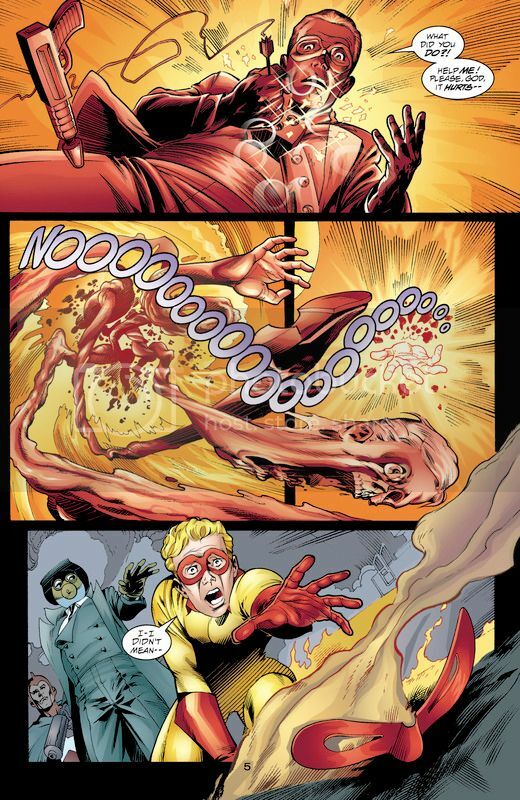 After a short career, his subspace prototype was damaged by Sandy the Golden boy (later Sand), and he was thrown into the dimension between dimensions, the Subtle Realms. 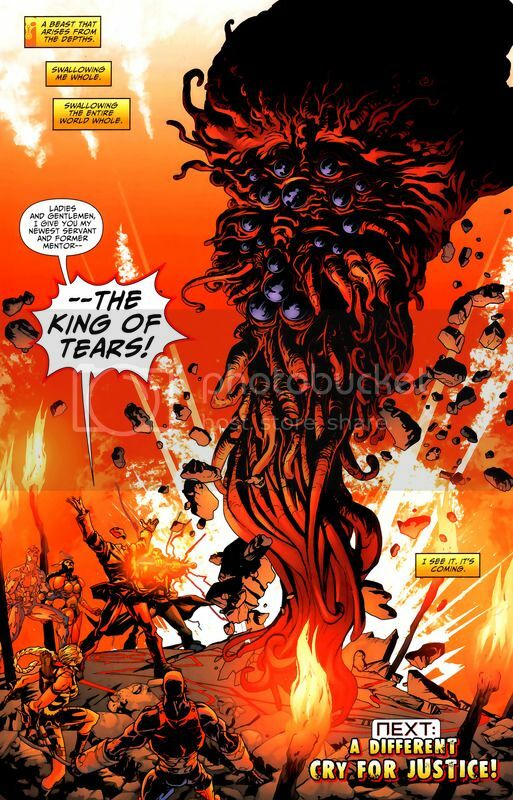 However, he was saved and transformed by the demonic entity, the King of Tears, who drafted him as his servant and sent him back to Earth. 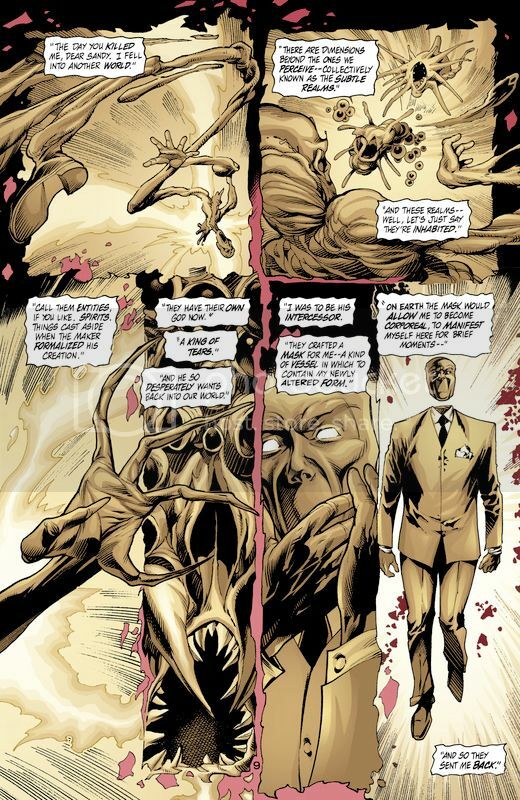 Upon returning, he found that his face has been so horribly disfigured that anyone who saw him died. 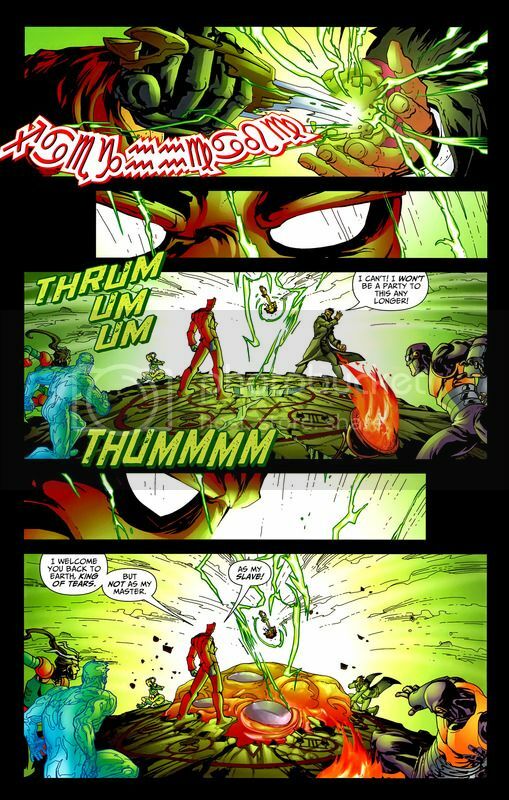 Showing the level of power KoT operates at. 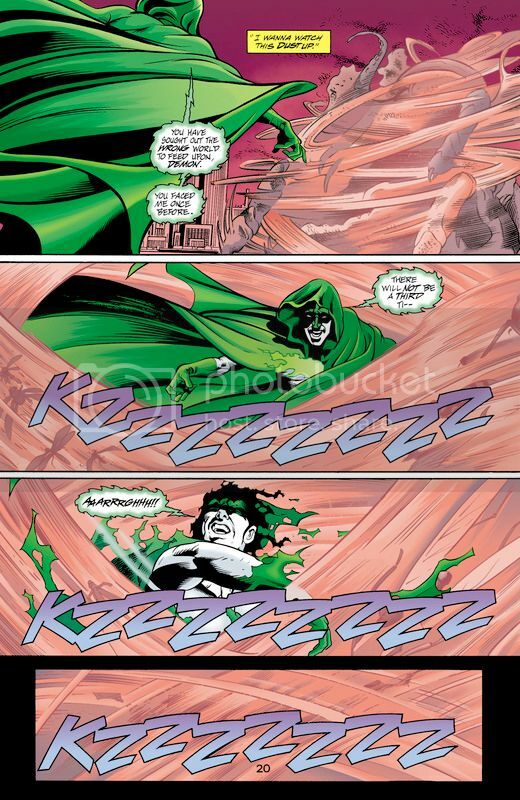 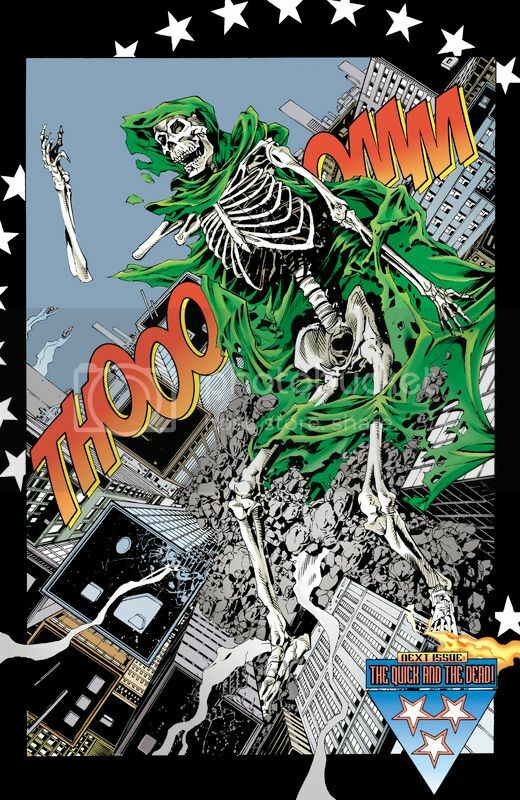 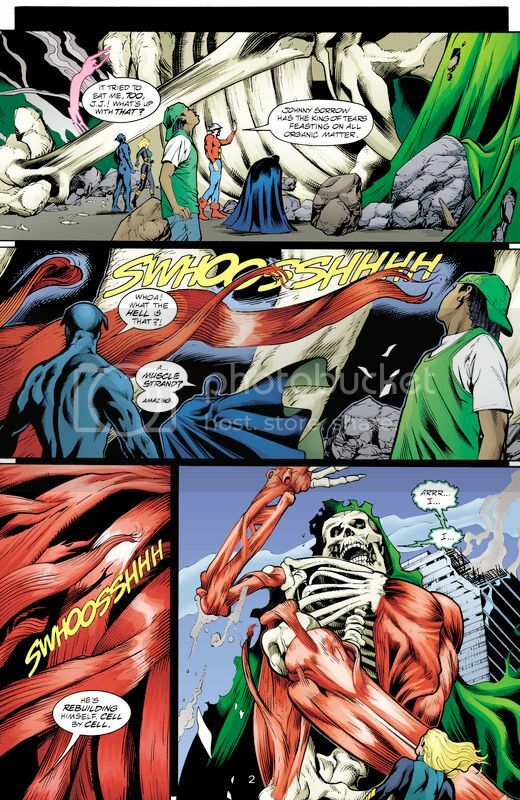 Here he briefly clashes with Hal Jordan as the Spectre and he flays all his skin off his body. 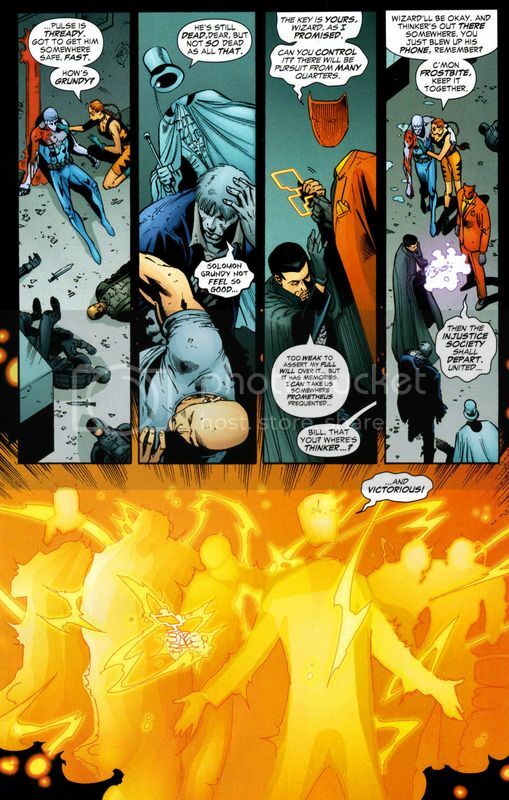 Even Spectre admits he can’t do anything to him. 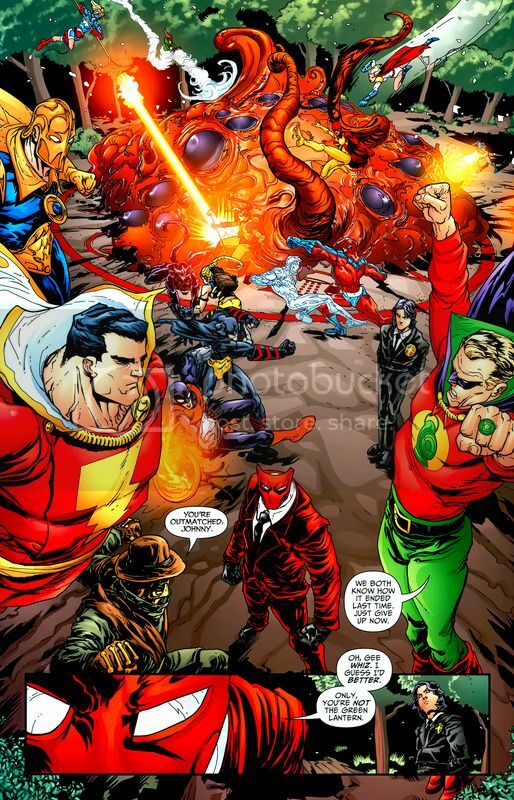 A rather significant showing. 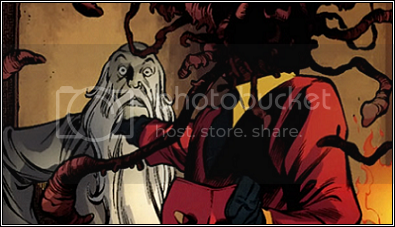 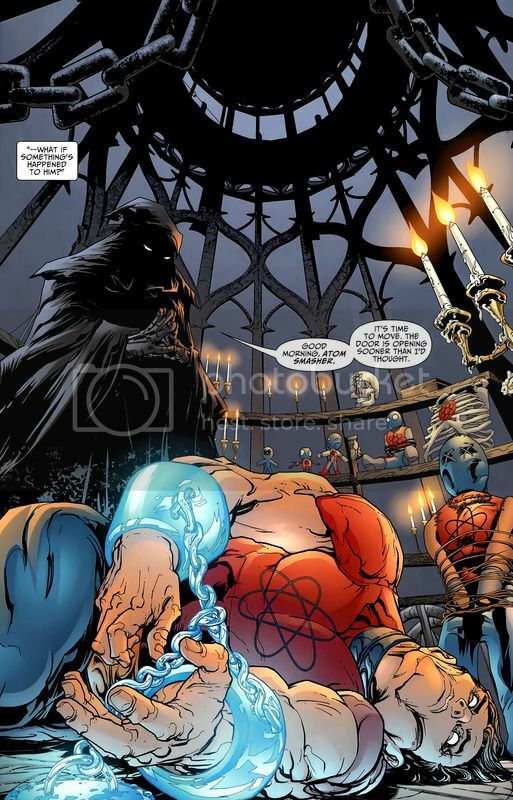 Here Sorrow shows his true face to Shazam and it instantly turns him into stone. 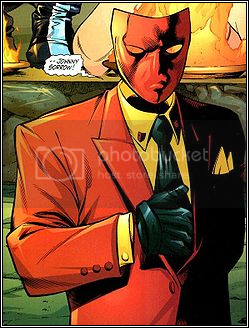 That’s a HIGH showing. 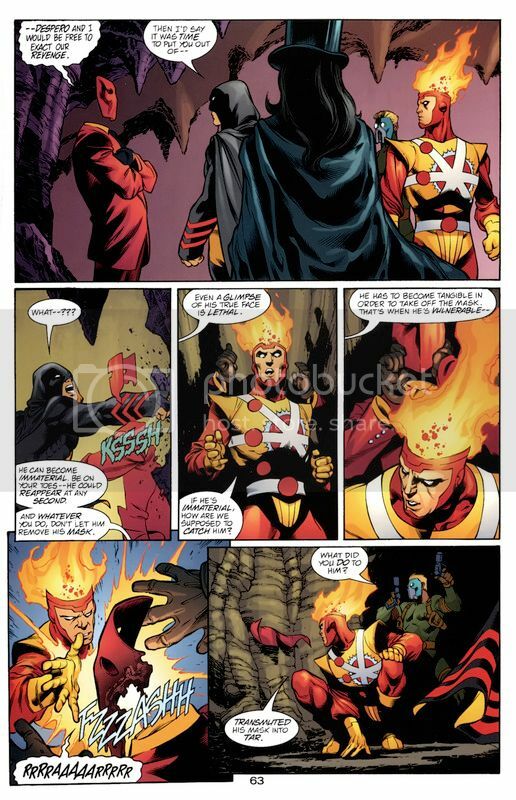 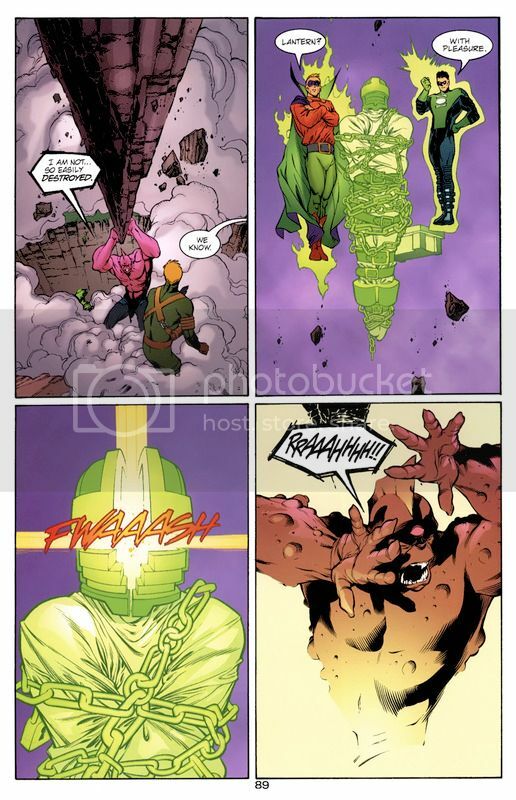 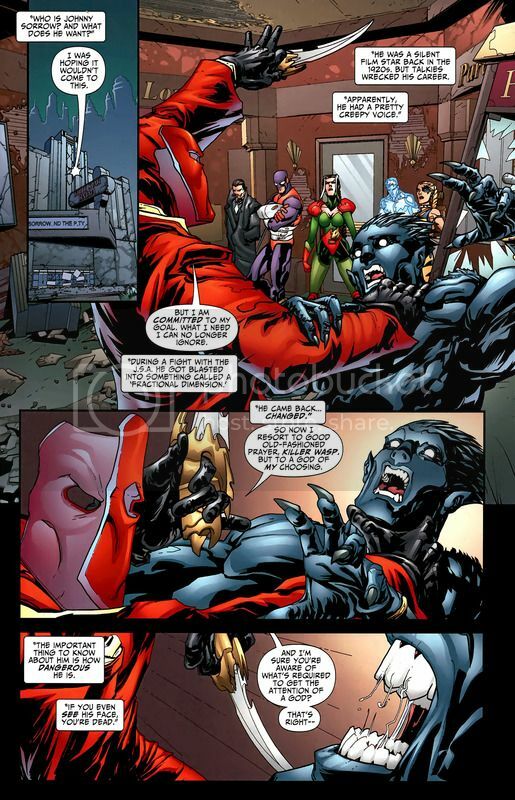 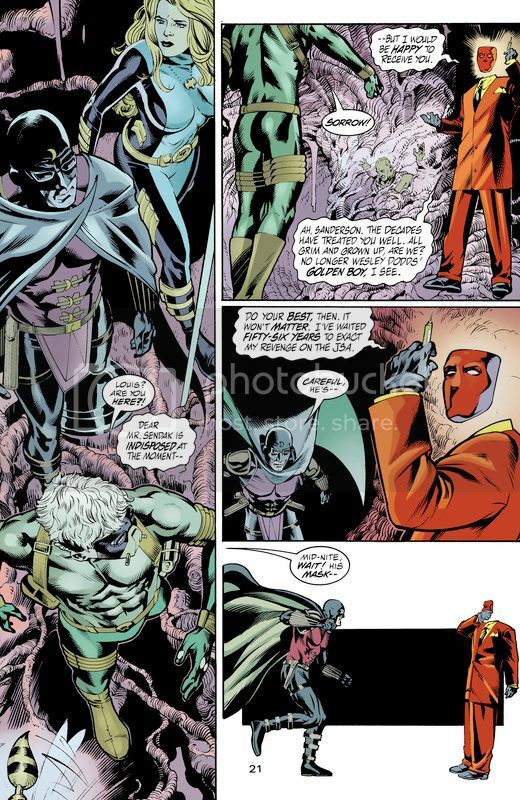 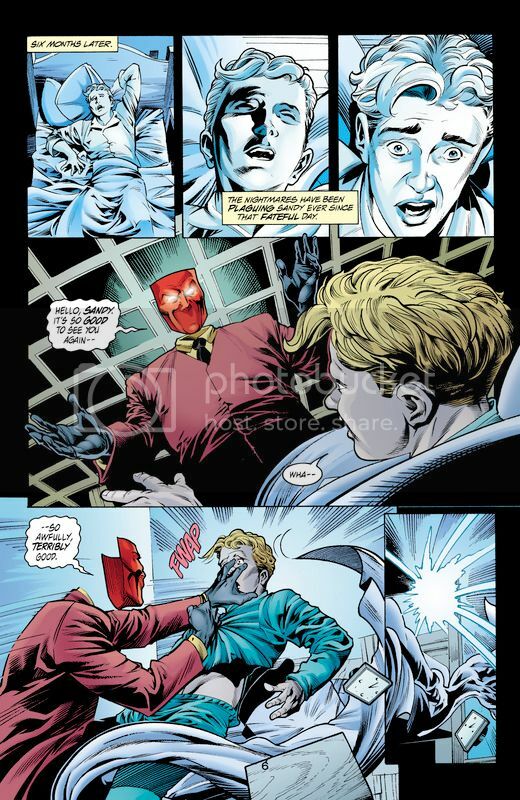 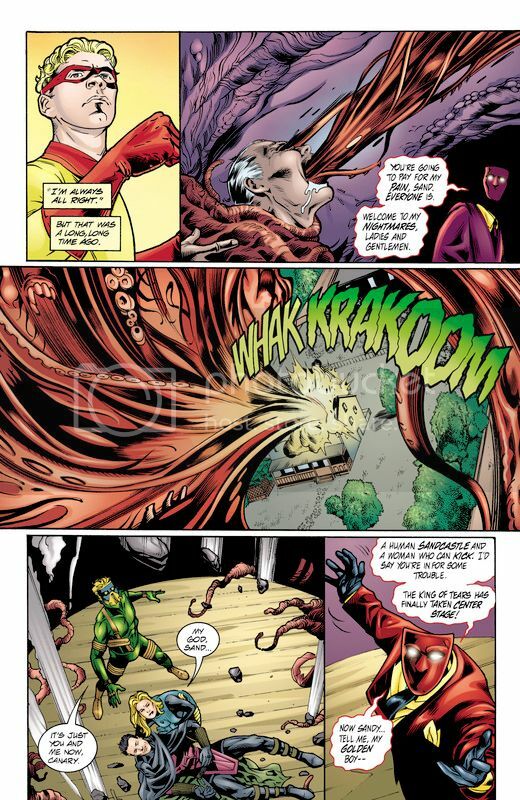 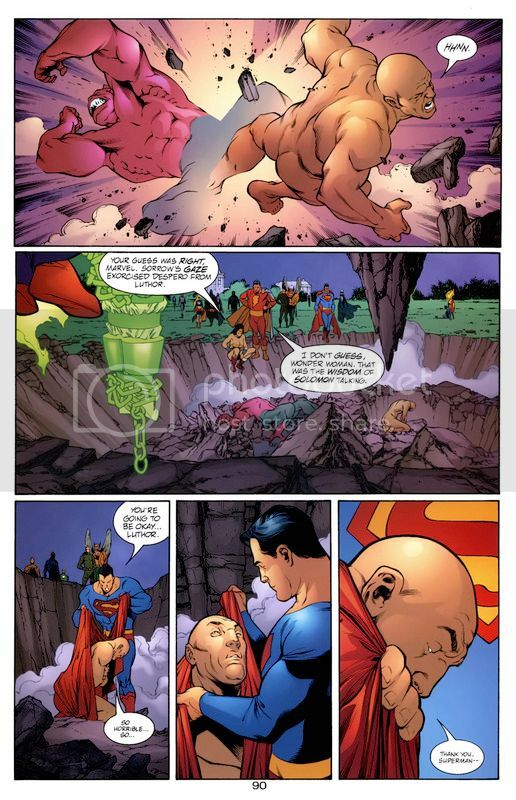 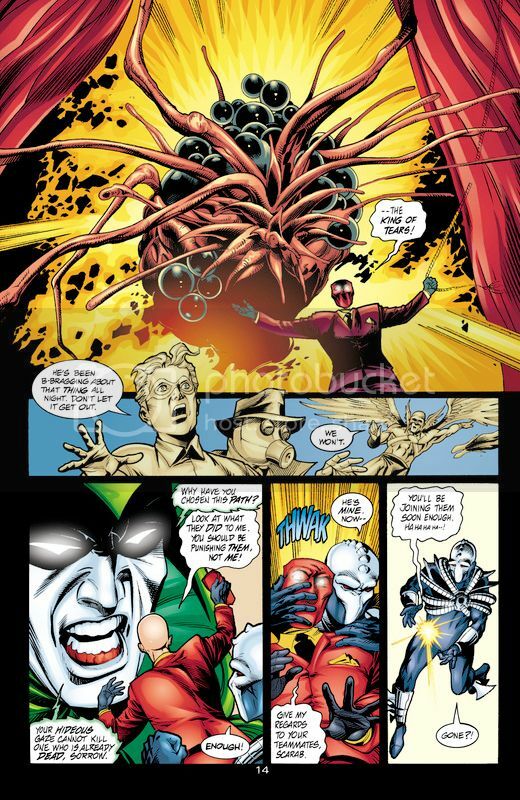 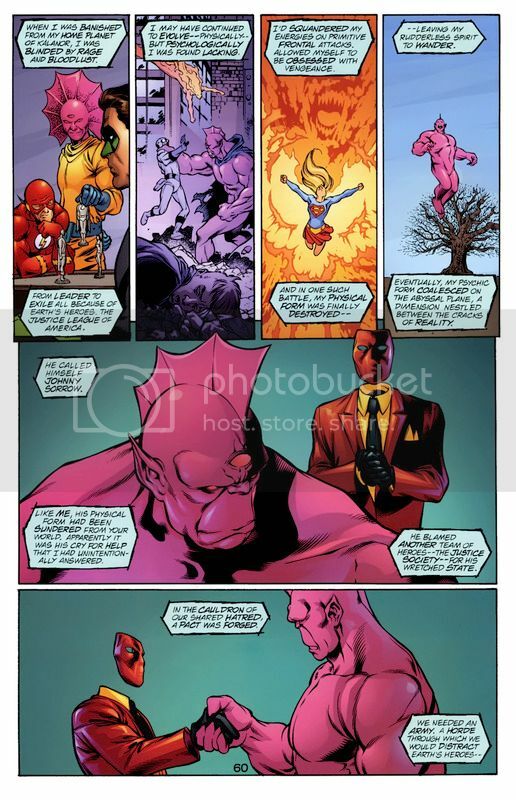 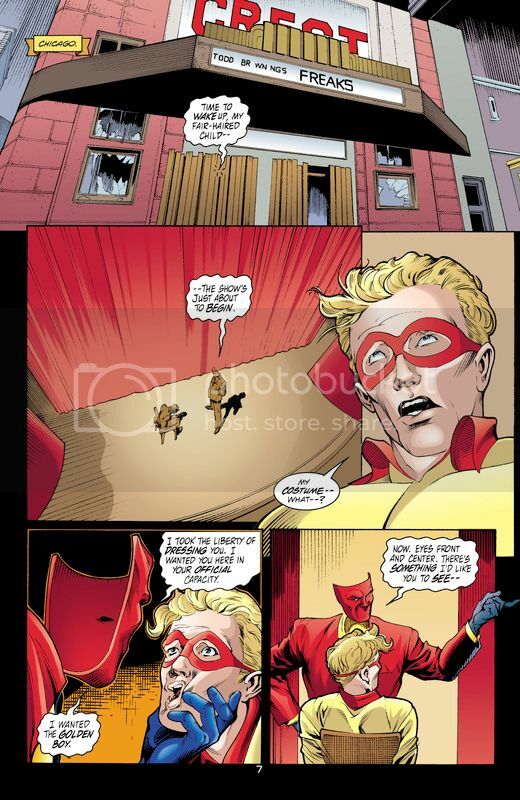 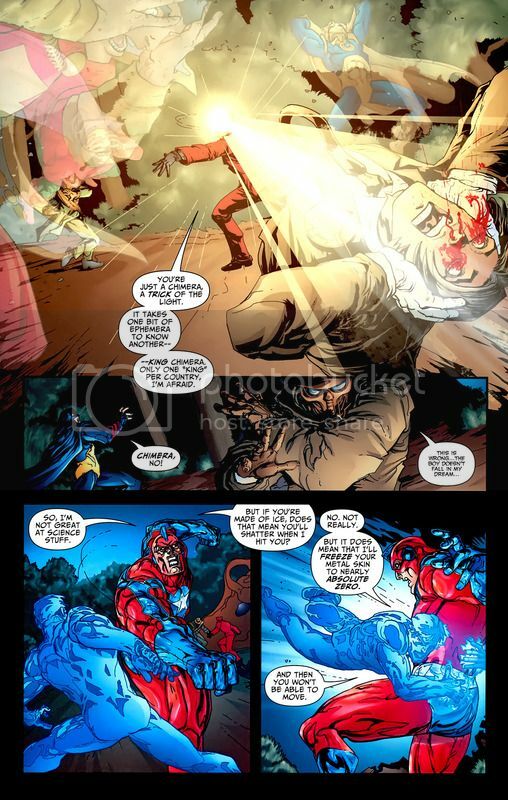 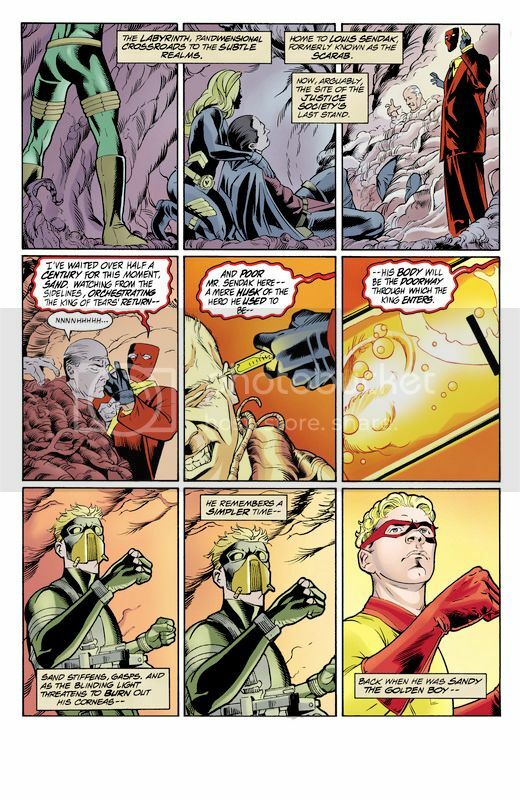 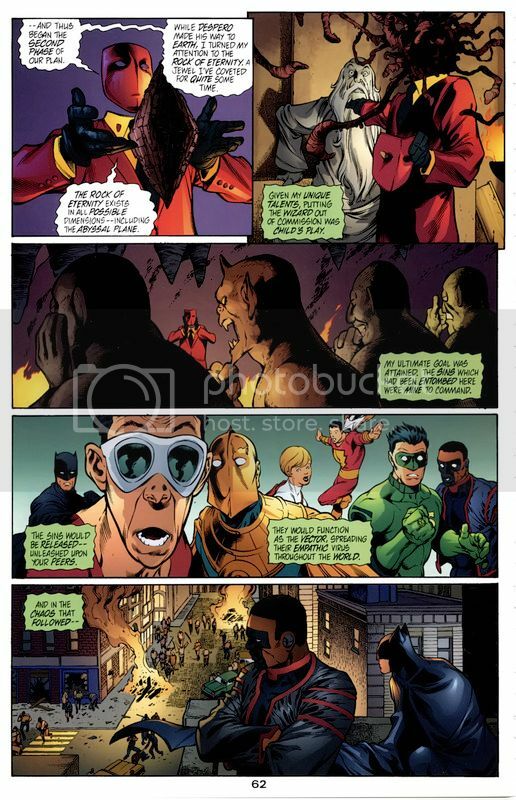 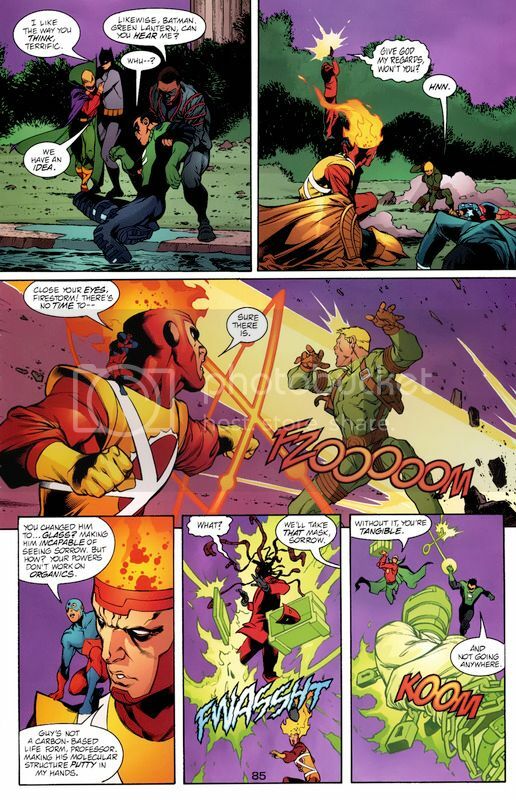 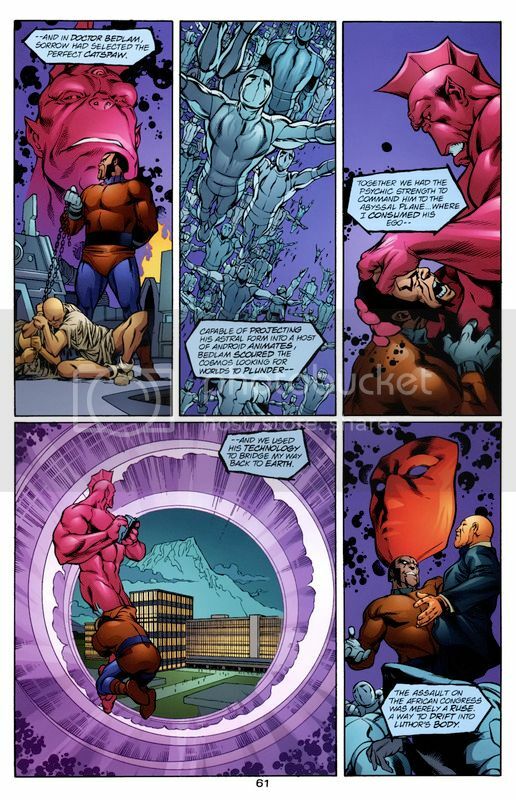 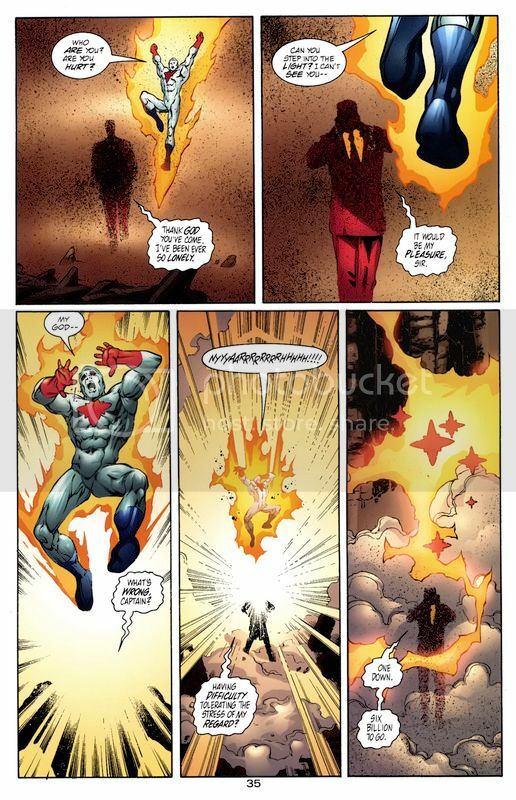 Here the JLA and JSA uses Sorrow on Despero exercising him from Lex Luthor. 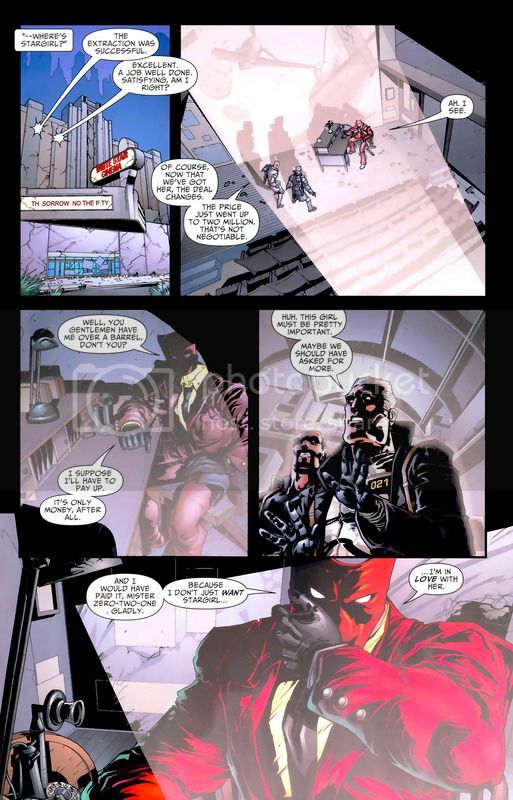 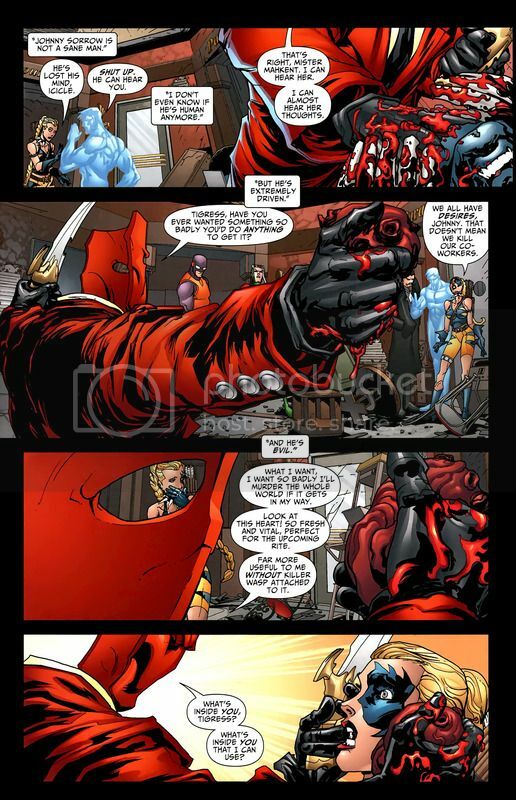 Here Sorrow reveals he killed nearly all of the super-hero team Seven Shadows by showing him their true face. 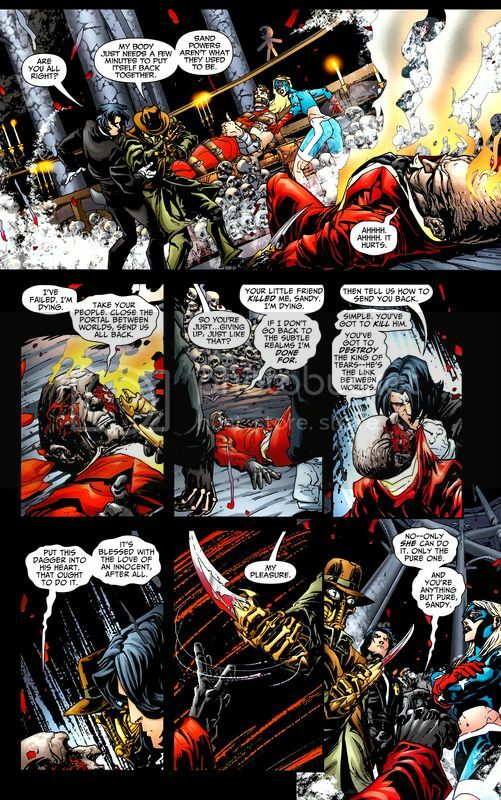 Sorrows show his face instantly killing two people in a gruesome death with blood shooting out of their eyes. 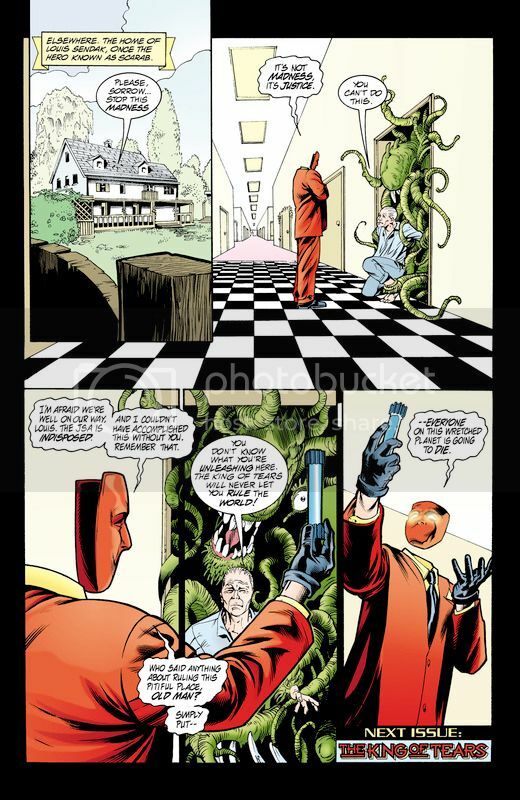 Here Chimera tries to trick Sorrow with his illusions and Sorrow instantly knew what is was. 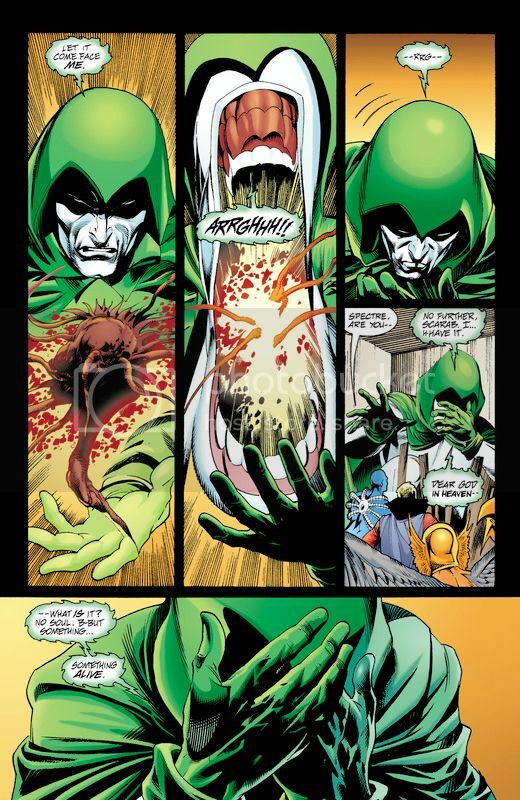 Sorrow shows him his face and destroys his eyes. 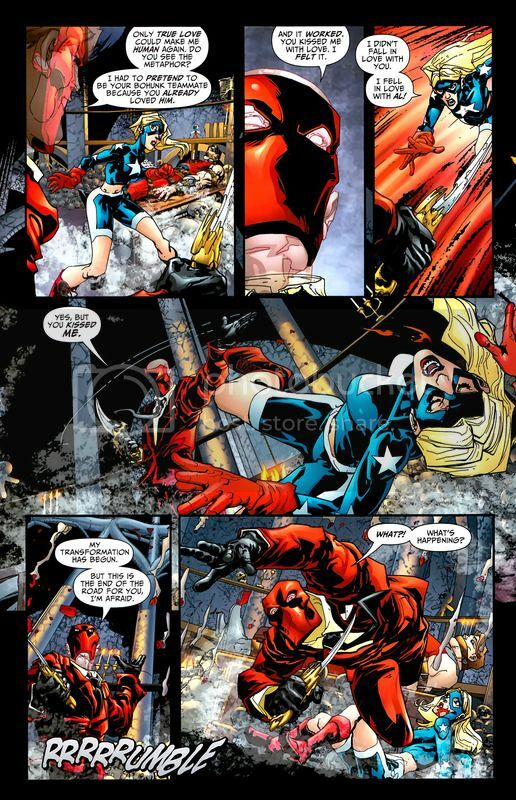 He was about to die if Anna Fortune didn’t save him. 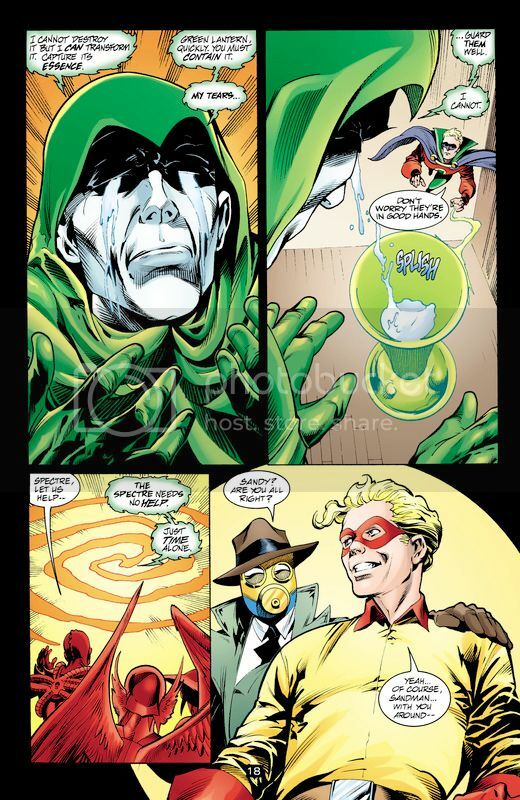 After Firestorm turns his mask into tar, Sorrow reverts it back. 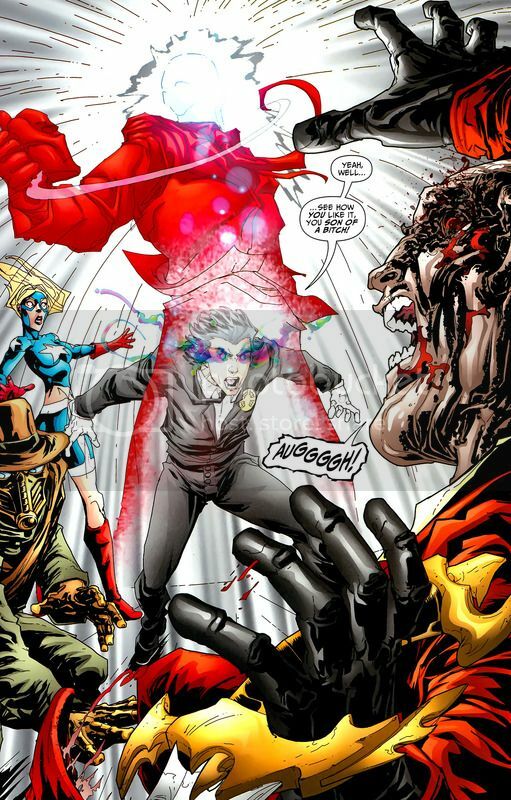 Here Johnny transports himself and Stargirl to the Shattered Realm Dimension. 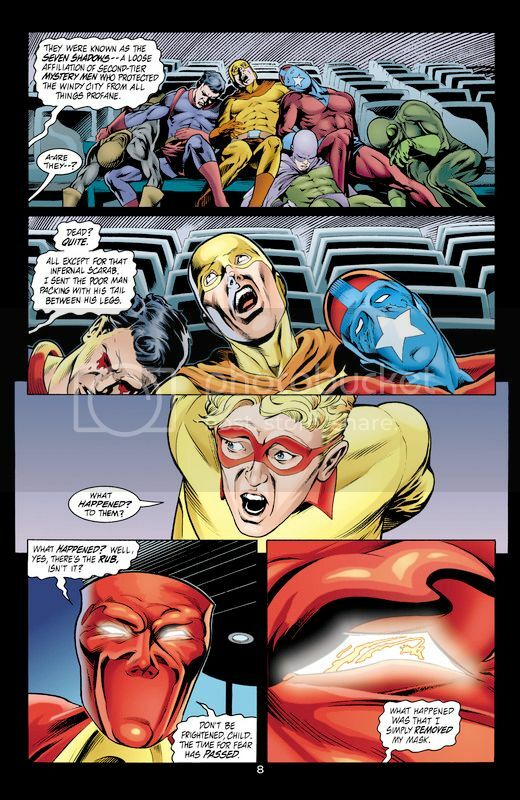 Despite his apparent destruction, Johnny Sorrow returned alongside Despero, and formed a plan of revenge against the JSA and the JLA. 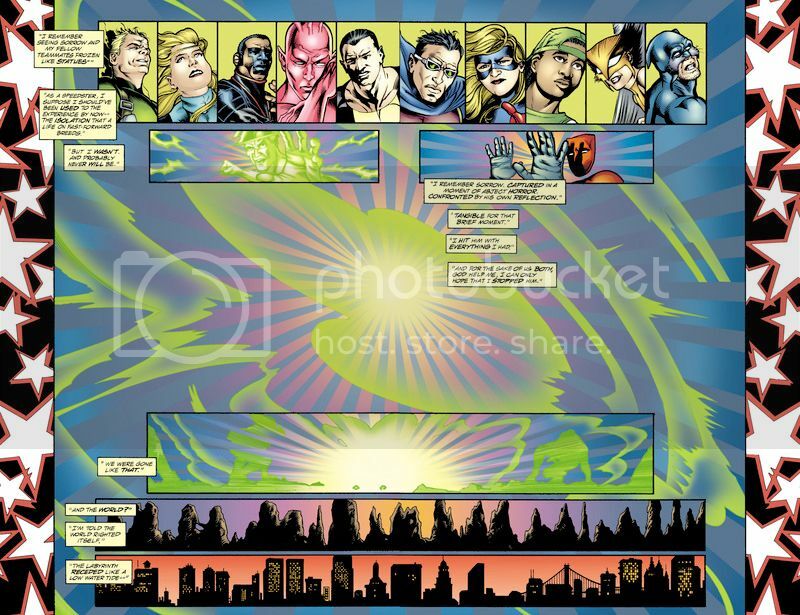 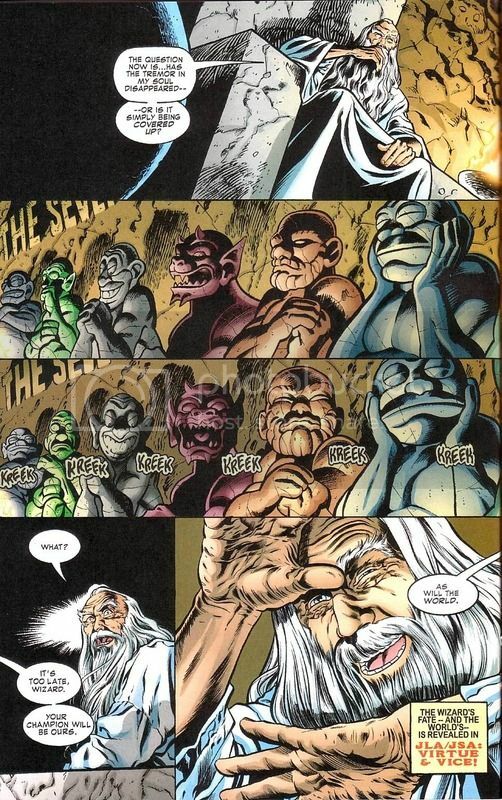 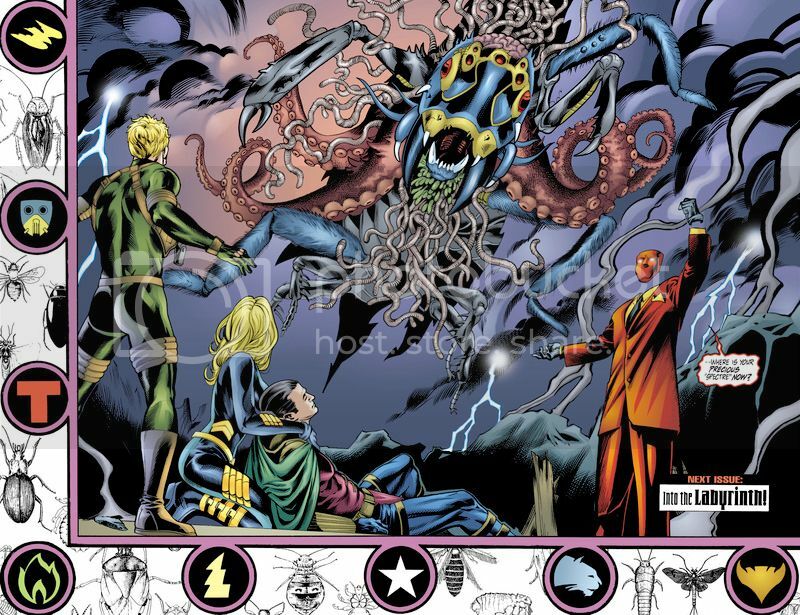 They took over America and the Rock of Eternity even releasing the Seven Deadly Enemies of Man (Pride, Envy, Greed, Anger Sloth, Lust, Gluttony), and bound each of them to members of the JLA and JSA. 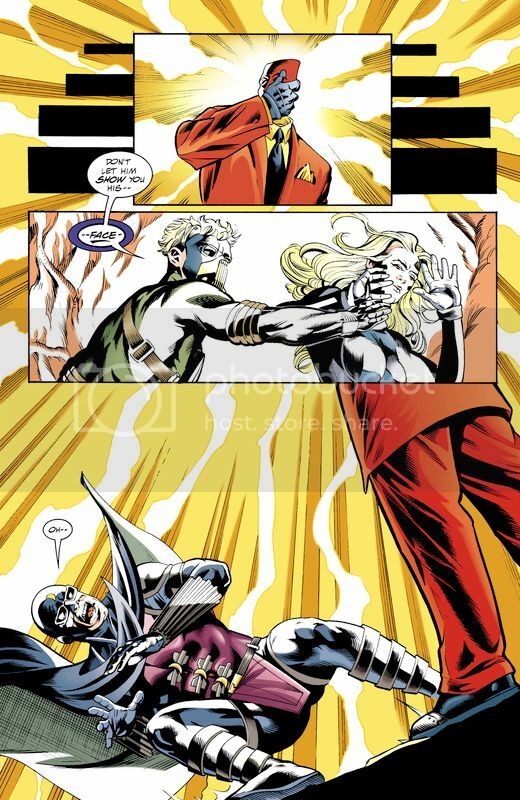 Here Sorrow casts a spell and tricks Stargirl to “love” him, which he needed to make himself human again. 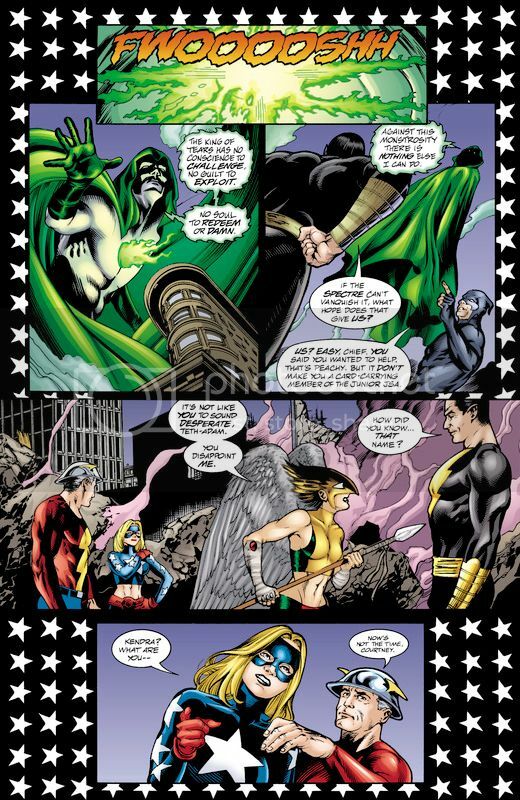 Onvr more banished from the Earthly plane, Johnny Sorrow sought another way back, and found one in the addled mind of the Wizard. 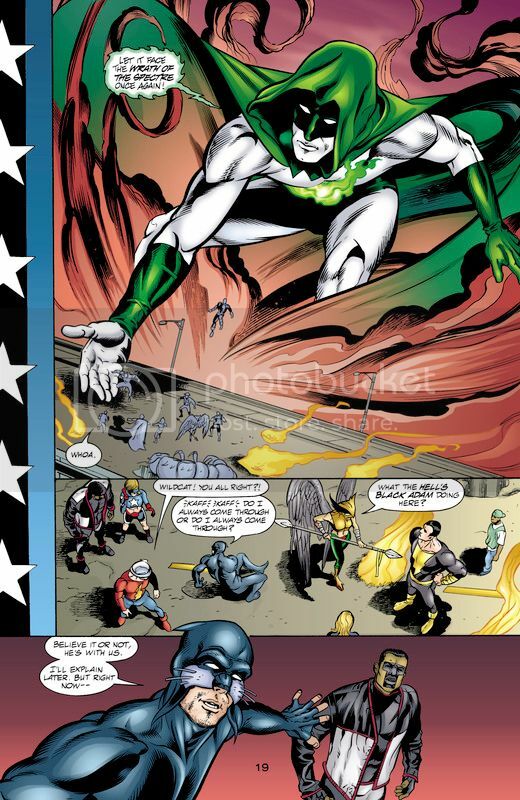 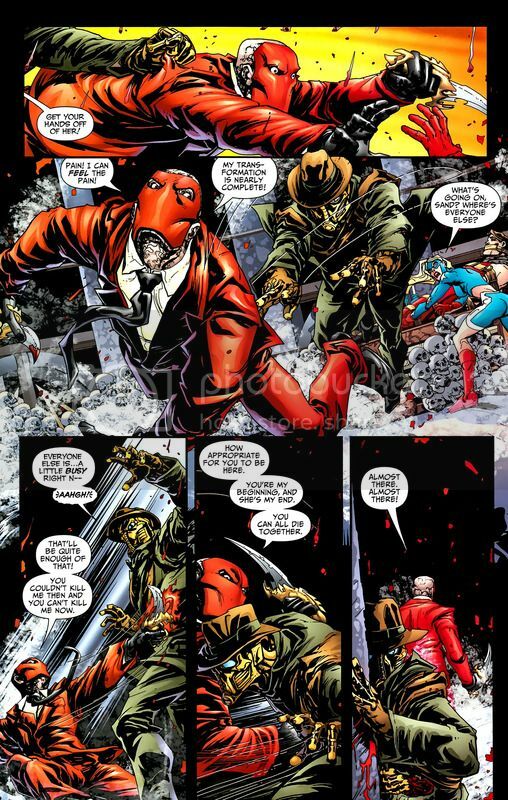 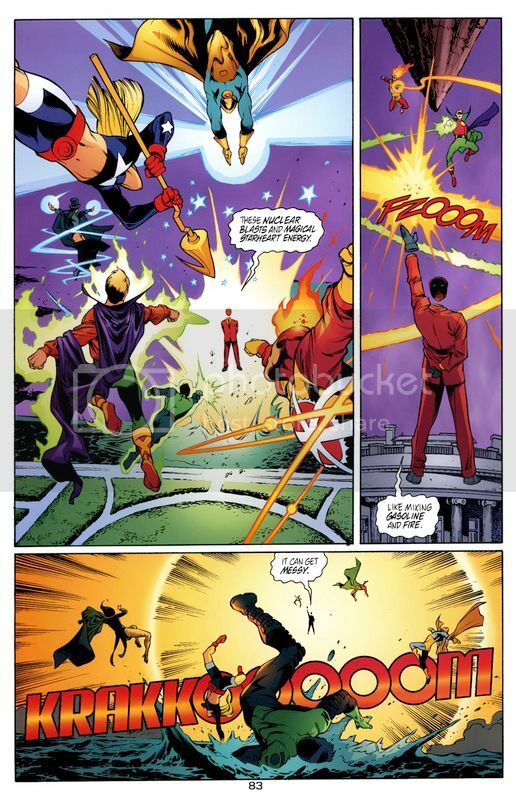 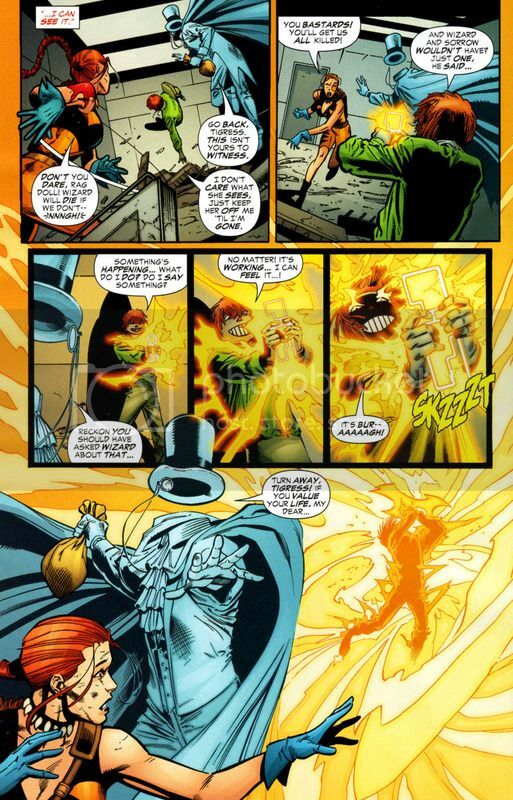 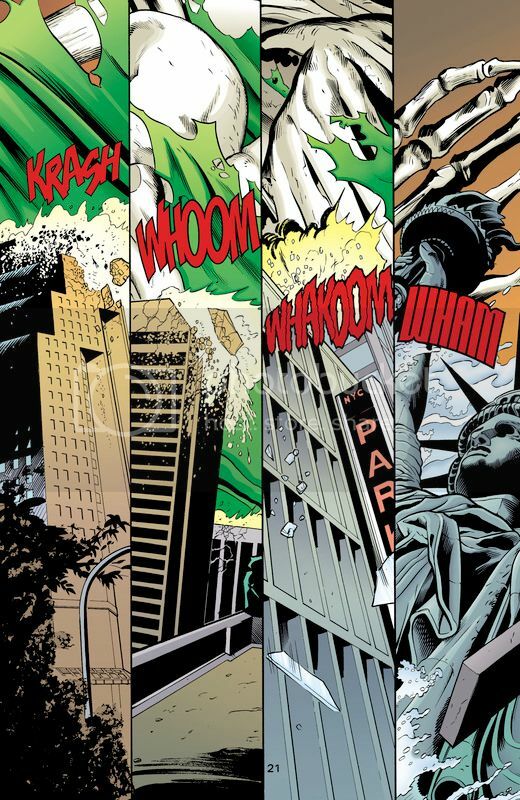 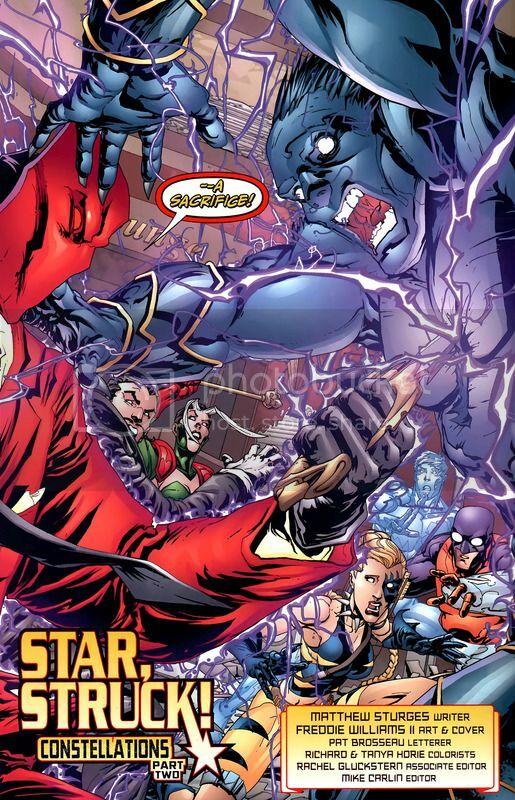 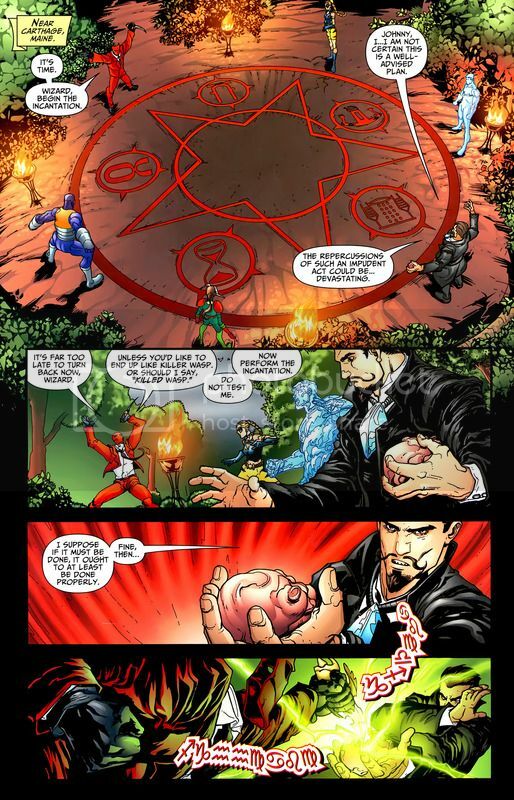 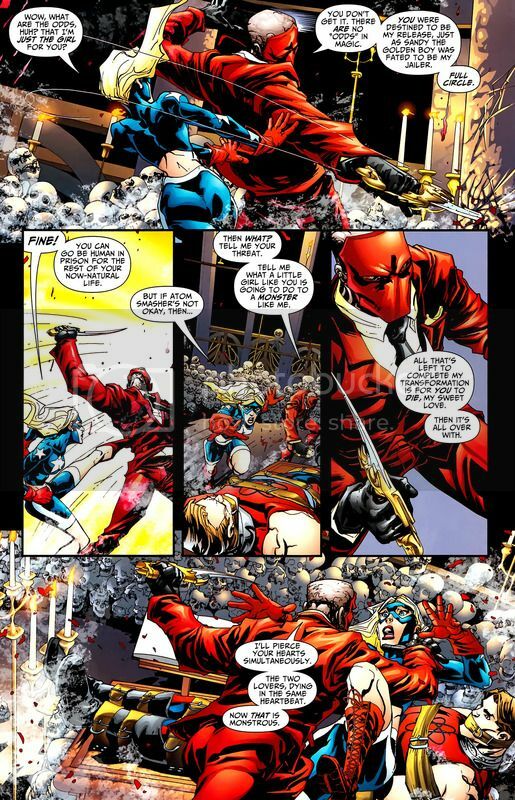 At Johnny Sorrow's behest, the Wizard gathered various members of the Injustice Society to retrieve the Cosmic Key from the JSA's headquarters. 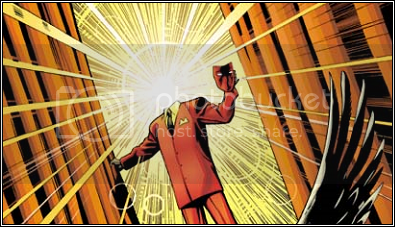 After the Ragdoll was sacrificed after an attempt to betray the team and steal the Key for his own use, Sorrow was restored to Earth. 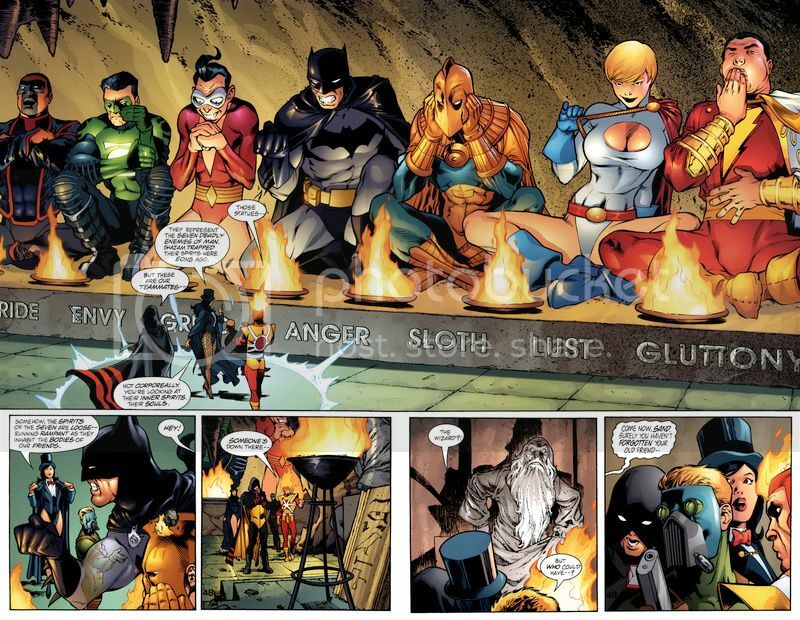 Johnny then declared the Injustice Society back in business, and made it quite clear that none of its members have any choice in the matter. 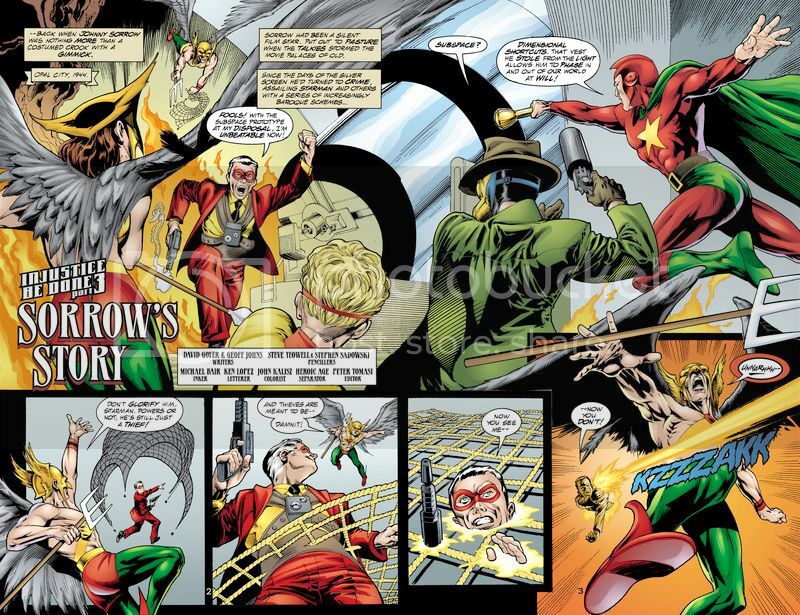 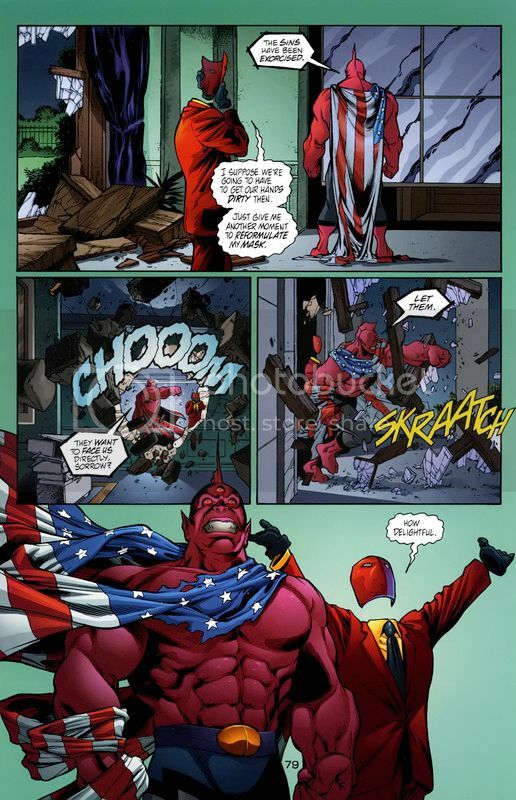 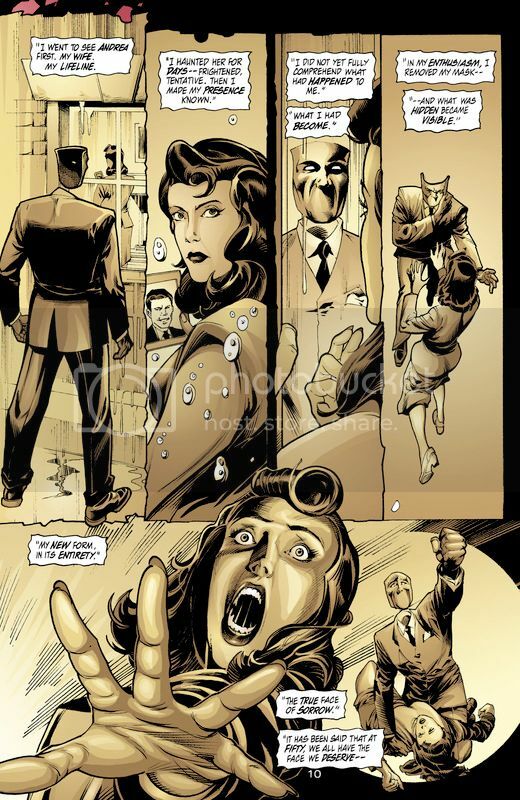 Here in 1940 Sorrow takes on the JSA before he became the demonic entity. 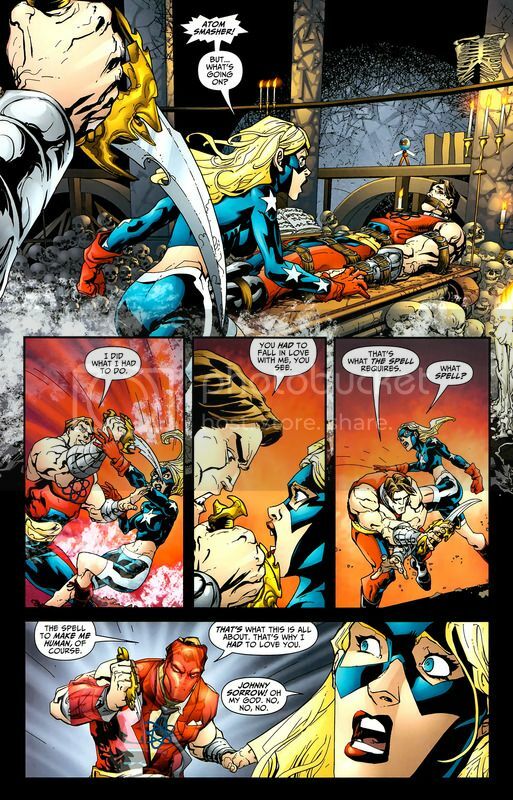 Here Sorrow casts a spell and tricks Stargirl to “love” him, which he needed to make himself human again. 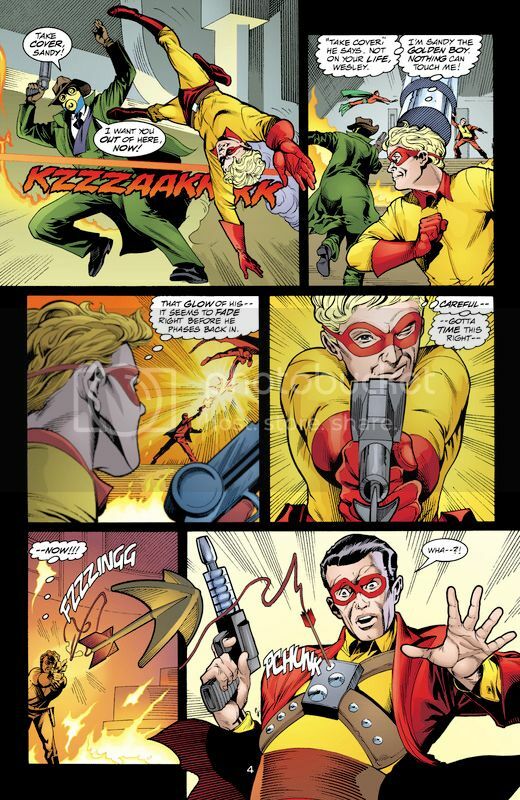 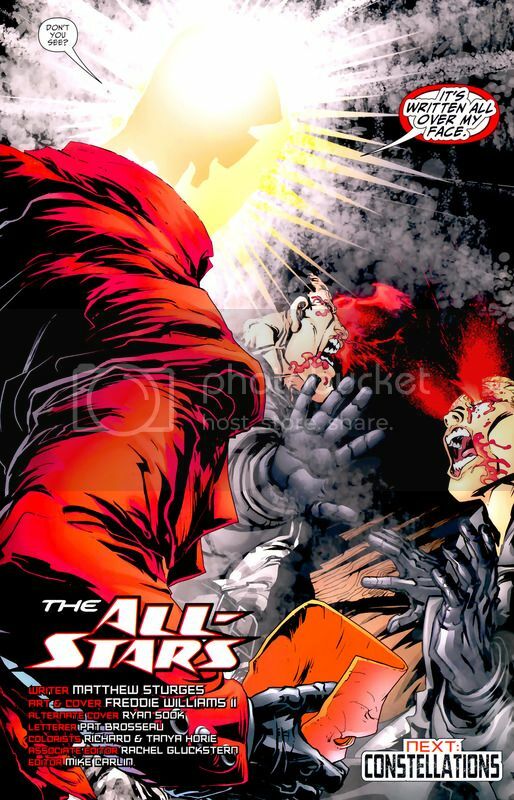 He clashes with the JSA and nearly kills Sandman. 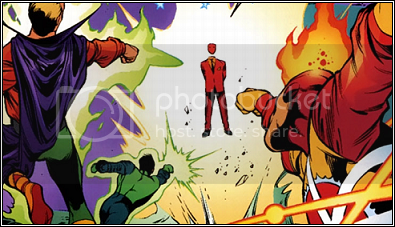 As he becomes more human he no longer becomes intangible and the heroes can finally touch him.